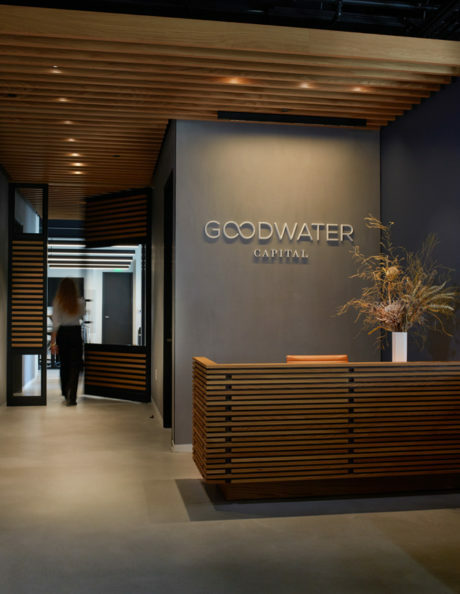 Bradac Co managed tenant improvements for the new offices of Goodwater Capital, an expanding venture capital firm. Goodwater Capital was founded in 2014 and manages nearly $400 million across two venture capital funds. They are focused on investing in early stage companies producing apps and services adopted directly by consumers. 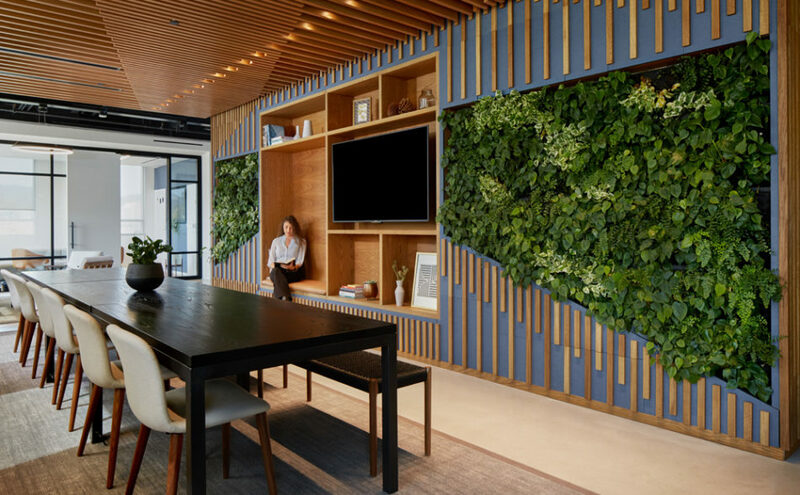 The client wanted a bright, welcoming environment with a mixture of open office and enclosed meeting spaces to accommodate 20-30 staff members. 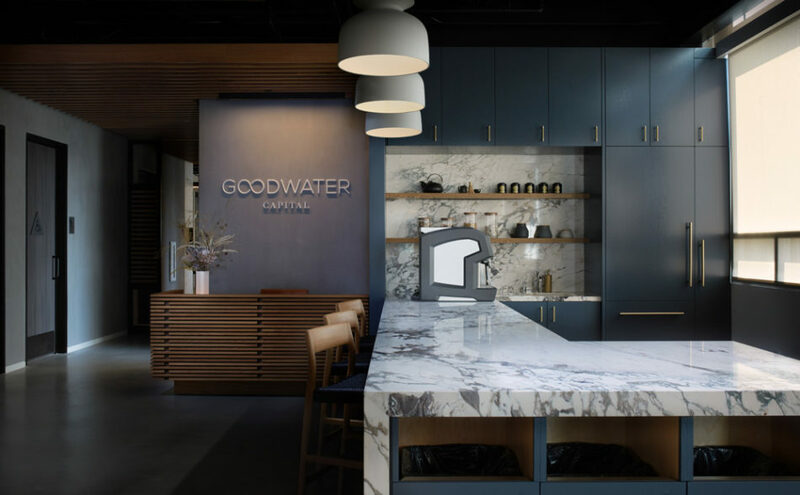 Goodwater’s new office space on the third floor of a newly constructed mixed-use building was envisioned as a refined environment for staff and visitors. 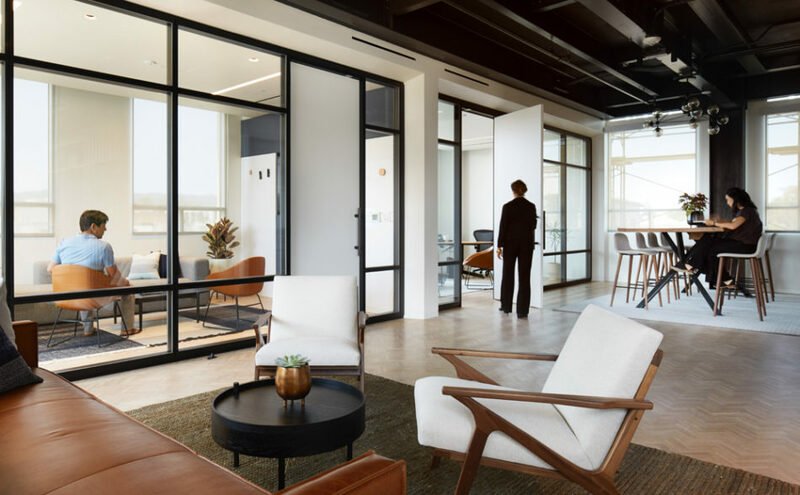 Beyond traditional office and meeting spaces, the facility includes an Investor Room with a multi-touch video wall; entry lobby with Coffee Bar; and an open Collaboration area for presentations, workshops, and events. 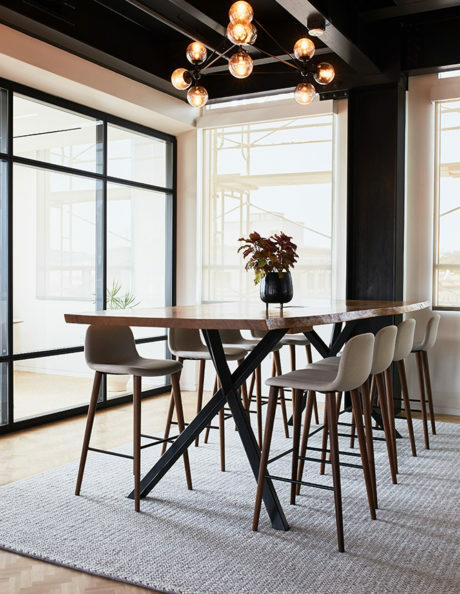 The enclosed spaces are delineated with thin-profile black aluminum framed glass walls to allow for transparency and natural light to filter into the floor.